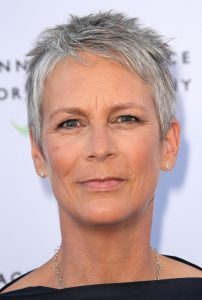 Jamie Lee Curtis is a film and television actress with starring roles in such acclaimed films as Halloween, Freaky Friday, True Lies, Trading Places, and A Fish Called Wanda. In television, Curtis co-starred opposite Richard Lewis in the sitcom Anything but Love. 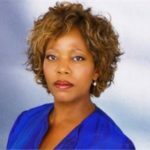 She also performed in the title role in TNT’s adaptation of Wendy Wasserstein’s play ”The Heidi Chronicles” and in the CBS telefilm Nicholas’ Gift. She most recently appeared as Mark Harmon’s lover, ”Dr. Samantha Ryan,” on NCIS and as Zooey Deschanel’s mother on New Girl. 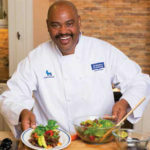 Curtis is the best-selling author of ten children’s books, with over 5 million copies in print. In addition to her most recent New York Times bestseller, My Brave Year of Firsts, she authored My Mommy Hung the Moon: A Love Story Is There Really A Human Race? It’s Hard To Be Five Learning How To Work My Control Panel I’m Gonna Like Me Letting Off a Little Self Esteem Where Do Balloons Go? An Uplifting Mystery Today I Feel Silly and Other Moods That Make My Day Tell Me Again About The Night I Was Born and When I Was Little: A Four-Year-Old’s Memoir of Her Youth. 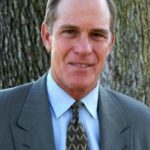 A recovering alcoholic/addict, Curtis is honored to have served on the Board of Directors of CASA (The National Center on Addiction and Substance Abuse at Columbia University) and The Scott Hitt Foundation as well on the Advisory Boards of CAAF (The Children Affected by Aids Foundation) and The Starlight/Starbright Foundation. She is currently serving on the Board of Trustees at Children’s Hospital Los Angeles. 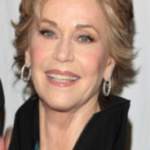 She is married to Christopher Guest and is the proud mother of Anne Lee Haden Guest and Thomas Lee Haden Guest. She can hit a mean tennis and golf ball and is known to organize a closet or two, invited or not. She is currently seeking a recovery program for that.